Here's the page I had published in the most recent (and final?) issue of Puck Magazine from Italy. Couldn't be prouder to have had my work included among such a great lineup on cartoonists from all around the world, and to have gotten to contribute to a book with such a wild concept: Over 100 artists drawing their individual vision of the apocalypse. Copies should still be available in both Italian and English; check the Puck Magazine Facebook page for info. 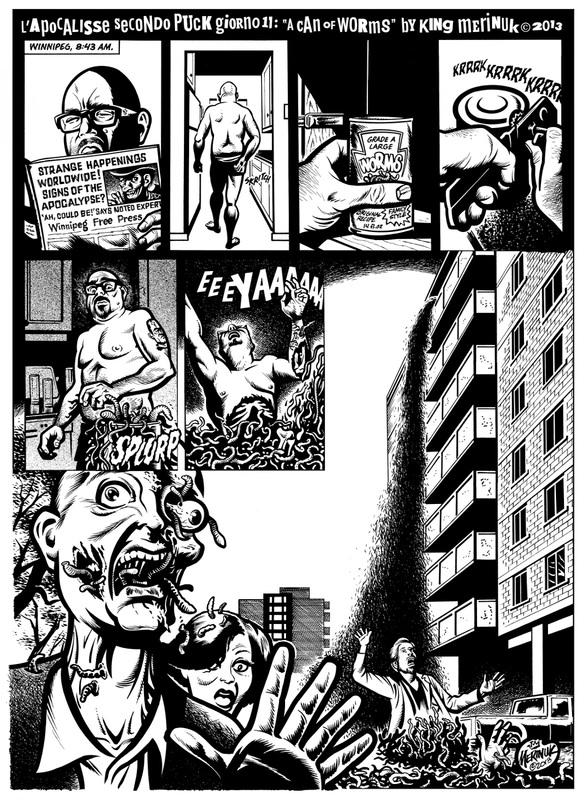 Stay tuned for MORE FRANTIC FUMETTI ACTION!